Abstract: To live a healthy life has become a tendency in modern city. People are trying to improve their life quality in many aspects. But what is the healthy life for modern city? How to live a healthy life in the modern city? Airwheel electric self-balancing scooter is going to lead people to solve this problem. The advent of Airwheel electric self-balancing unicycle is to illustrate the health of modern city life in the aspects of human being and environment. Human being health comes to the first of a healthy life. All of the development of modern science and technology is to serve human being to live a better life. Airwheel electric scooter is born to assist people to live comfortably and healthily. The driving flexibility and operating convenience have made it the best choice for urban dwellers to have short distance travelling. At the same time, exercising is also a very important characteristic of Airwheel electric self-balancing scooter. Driving an Airwheel scooter outside will do great favor to the health of human bodies. On another hand, environmental health is also very important for urban residents. In the past several hundred years, people were used to improve one’s living condition through the way which affected the health of environment. The result of this developing mode is to restrict the living condition of people’s life in the end. This is why people find the air pollution and noise pollution more and more terrible in modern city. The blind way to improve people’s living comfort by harming the environment has been proved to be terribly wrong. 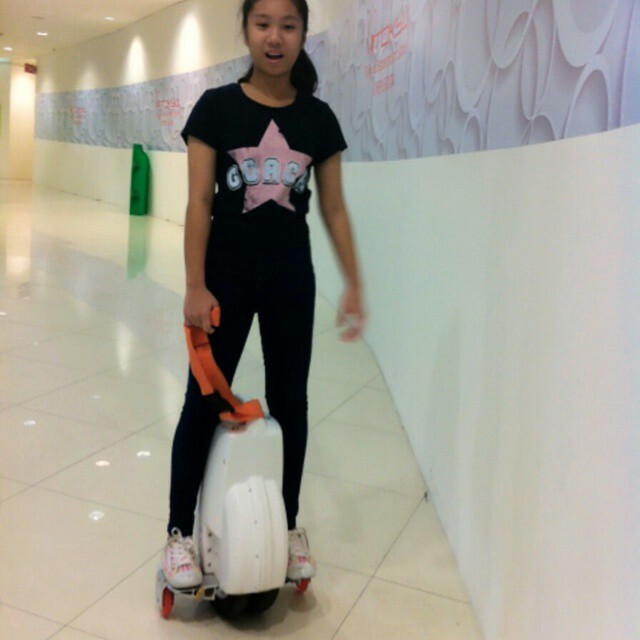 Airwheel electric cycles are born to improve people life quality and protect the environment at the same time. Healthy life of modern city residents need to be maintained in two aspects – human being health and environment heath. Airwheel electric self-balancing scooter is going to lead people to live a healthy life in the modern city.